“The season of Lent during this Jubilee Year should also be lived more intensely as a privileged moment to celebrate and experience God’s mercy.” – Pope Francis. This entry was posted in Lent and tagged Lent, Lenten devotions, Pope Francis, The Printery House on February 9, 2016 by Printery House. This entry was posted in Lent and tagged Good Friday, Lent, prayer, The Printery House on April 3, 2015 by Printery House. This entry was posted in Lent and tagged ash wednesday, Lent, mardi gras, The Printery House on February 17, 2015 by Printery House. Lent, a special time for reflection and spiritual growth, is fast approaching and now is a good time to order inspirational books to prepare for it. 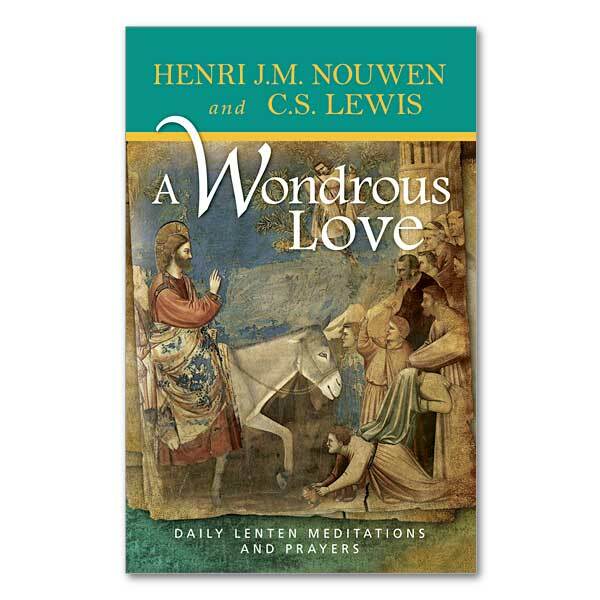 A Wondrous Love: Daily Lenten Meditations and Prayers (LB1) is available now through The Printery House and can be a helpful Lenten companion for people to reflect on their personal life situations and to deepen their relationship with God. Two of the most widely read and respected spiritual writers of the 20th century, Henri Nouwen and C.S. Lewis, are brought together in this Lenten daily devotional booklet. Nouwen and Lewis offer their deeply personal insights, understanding and pastoral sensitivity in this booklet that is an ideal accompaniment for the holy season of Lent. This entry was posted in Lent and tagged Christian gifts, Christian meditations, Lenten devotions on January 27, 2015 by Printery House.